Greg Long’s been a fixture of the big wave community for a long time. His resume is a laundry list of surfing’s most sought-after awards: Biggest Paddle In, Biggest Tow-In Wave, Ride of the Year (twice over), Performer of the Year (thrice over). He’s won the Eddie. He’s won Maverick’s. He’s a BWT World Champion. He’s been the National Geographic Adventurer of the Year. And despite the fact that he’s only in his mid-30s, Greg is an idol to many of his peers. Although one might expect him to be an arrogant prick with a death-wish, he’s an extraordinarily nice guy who has put himself at the top of the big wave food chain not by taking risks, but by calculating them and putting in his time. In the dying days of October 2017, Greg paddled out for the Pe’ahi Challenge 2017–an event that was called “the best event in big wave history.” And while he didn’t win, because of his close involvement with the BWT and the fountain of big wave knowledge he possesses, he’s one of the best guys to talk to about it. 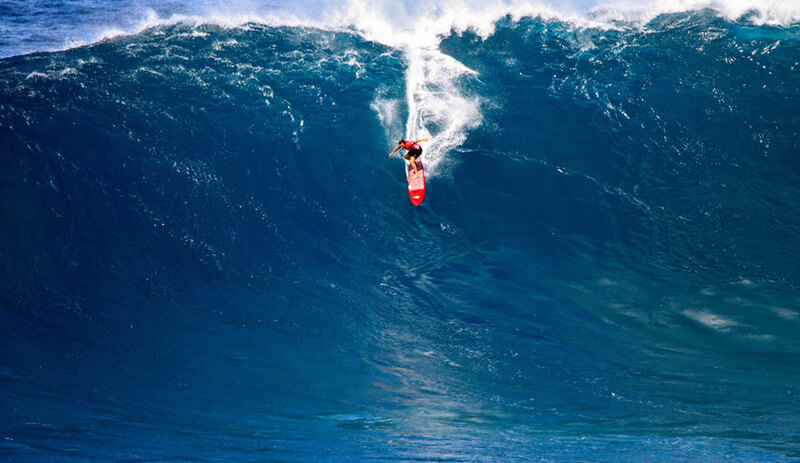 Big wave surfing isn’t exactly the safest way to make a living. Compared to the WCT purses, the amount of money BWT surfers can make in events is weirdly low–especially considering that there’s a whole more on the line. Which, perhaps, is why the mentality that surrounds BWT events seems very different than it does on the regular tour. The competitors seem to be less… well, competitive. The surfers seem to be surfing strictly for the love of it instead of the gold at the end of the rainbow. And for the most part, they are.